An Illinois state representative has resigned following allegations he used photos of his ex-girlfriend to "catfish other men". Republican Nick Sauer allegedly used the photos on a fake Instagram account to lure men into "graphic conversations of a sexual nature". His former girlfriend Kate Kelly made the allegations in a formal complaint. Catfishing refers to creating fake personas to trick others into bogus online conversations. Mr Sauer said in a statement his duties would be affected "by the distraction of addressing these allegations. "After speaking with my family, I feel it best to step away from my public responsibilities," the first term lawmaker said. 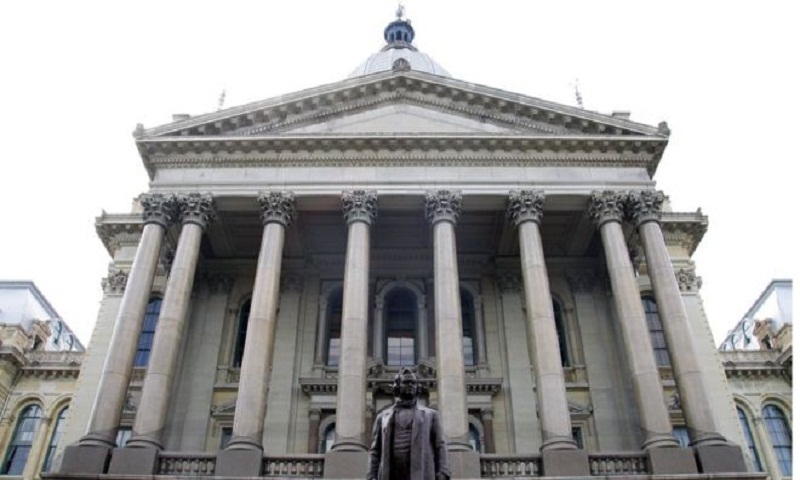 Illinois house Republican leader Jim Durkin called the allegations "troubling", saying the "proper authorities" should be allowed to investigate. Publishing private sexual images without consent is a crime in the state of Illinois. Ms Kelly filed the complaint with the Office of the Legislative Inspector General on Wednesday, according to reports on US news website Politico. The article says that Ms Kelly has also filed a report with the Chicago Police Department. Speaking to the website, Ms Kelly said she and Mr Sauer, both unmarried, met on the dating app Tinder in 2016 but broke up earlier this year when she discovered he had been seeing other women. In July, a man allegedly contacted Ms Kelly on her Instagram account saying he had been speaking to a person for the past four months pretending to be her. Ms Kelly's complaint says Mr Sauer later "came to my house and confessed to catfishing men with my photos". Mr Sauer represented Illinois' 51st district, and was a member of the House Sexual Discrimination and Harassment Task Force. Earlier this year, Missouri Governor Eric Greitens resigned after claims he photographed a naked woman without her consent.